· Joint Secretary, Diabetes In Pregnancy Study Group of India. · Member Editorial Board, Journal of Clinical Diabetology. · Chairman Membership Drive, API Bihar Chapter 2015-16. · “Management of Type 2 Diabetes in Indian 2015 and Beyond” at National Congress of Clinical Diabetes, Organized by Association of Clinical Diabetology, Kolkata 2016. · “Role of HbA1c in Pregnancy” at Diabetes In Pregnancy Study Group of India, New Delhi 2016. · “DPP4 Inhibitors” at API Bihar Chapter. Aurangabad 2016. · “Indian Insulin Guideline and Early Initiation Of Insulin” at API Bihar Chapter, Darbhanga, 2015. · “Early Insulin Initiation” at API Munger, 2015. · As Faculty for “Training of Medical Officers on Non – Communicable Disease Diabetes’’ organized by State Health Society, Bihar, Govt of Bihar and JHPIEGO at Patna, 2015. · “Capacity Building to Improve Diabetes CAre in Bihar” organized by State Health Society, Bihar, Govt of Bihar 2015 Patna. · “Oral Hypoglycemic Agents New Horizon” at API Purnia, 2015. 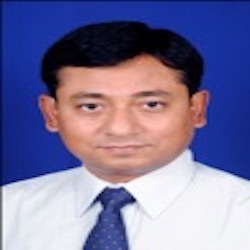 · “Cardiovascular Safety of Oral Hypoglycemic Agents” at CSI, Patna, 2015. · “Speciality Course on Gestational Diabetes Mellitus,” As faculty, at Patna, 2014 by Federation of Obstetric & Gynaecological Societies of India, Diabetes In Pregnancy Study group of India and recognized by The World Diabetes Foundation. · “Updates on Gestational Diabetes Mellitus” organized by Diabetes Research And Welfare Association, Kolkata, 2014. · “Practical strategies for management of type ii diabetes,” As faculty, at Patna, 2014, by Indian Medical Association and American Association of Continuous Medical Education. · Contributed as Faculty in the Doctors Traning Programme on “Managing Diabetes” organizes by State Health Society, Bihar, Govt of Bihar, at Patna, 2013. · “Speciality Course on Gestational Diabetes Mellitus,” As faculty, at Patna, 2013 by Federation of Obstetric & Gynaecological Societies of India, Diabetes In Pregnancy Study group of India and recognized by The World Diabetes Foundation. · “Is Glycemic Control Necessary During Cataract Surgery in Diabetic Patients ?” at Bilas Netralaya, Patna, 2013. · “Gestational Diabetes Mellitus Manifests in All Trimesters of Pregnancy” in 5thNational Conference of Diabetes In Pregnancy Study Group India, organized by Association Of Physician Of India, West Bengal Branch, Kolkata, 2010. · “Self-Monitoring of Blood Glucose, (SMBG)” in Staged Diabetes Management Programme organised by International Diabetes Center, World Health Organization and Nil Ratan Sirkar Medical College and Hospital of Kolkata, at Ruban Emergency Hospital, Patna, 2008. · “Oral Hypoglycemic Agents an Overall view” at Kurji Holy Family Hospital, Patna, for DNB students, as guest lecturer, 2008. · “API Bihar Chapter Award For Best Speaker In 2015-16” At BAPICON 2016, Aurangabad. · Clinical experience with insulin detemir, biphasic insulin aspart and insulin aspart in people with type 2 diabetes: Result from the East India Cohort of the A1chieve study. o Indian Journal of Endocrinology and Metabolism. vol.17; supplement 2: 2013; s 501.
o The Patna Journal of Medicine. vol.88; January 2014, no.01: 15-16. · Cutaneous Infection in Diabetes Mellitus. o The Patna Journal of Medicine. vol.88; January 2014, no.01: 13-14. Participated in “Hyperglycemia and Its Effect after Acute Myocardial Infarction on Cardiovascular Outcomes in Patients with Type 2 Diabetes (HEART 2D) as a site coordinator along with Dr. Prof. V BALAJI as Primary Investigator of the study at Apollo Hospital, Chennai. · Participated in API Bihar Chapter 2015 at Darbhanga and 2016 at Aurgabadh as Speaker. · Participated in Research Society for the Study of Diabetes in India ’RSSDI’ 2015, Lucknow, as Faculty Chairperson. · Participated in “National Conference of the Diabetes in Pregnancy Study Group India” FEBRUARY 2006, 2009 & 2012 at Chennai, 2010 at Kolkata as Speaker, 2014 at Bangalore, 2015 at Ooty, As Joint Secretary 2016 at New Delhi and 2017 at Lucknow. · Actively associated with Medversity Online, Diabetic Certificate Course at Apollo Hospital, Chennai, 2005. · Participated in “International Colloquium on Diabetes and Pregnancy” December 2004, Chennai. · Participated in “8th Annual Conference of Bihar Diabetes Federation” March 2002, Patna. · Participated in”11th RSSDI Advance Course in Diabetology” November 1999, Patna. · Participated in “North Eastern Zonal Diabetic Congress AND 4TH Joint Annual Conference of RSSDI, B.D.A. and E.S.I. (Bihar Chapter)” NOVEMBER 1998, Patna. · “Gestational Diabetes Mellitus – An Overview”, at Bhagalpur, meeting of “Gestational Diabetes Mellitus Mainstreaming in Public Health Delivary System in India with reference to Bihar, organized by World Diabetes Foundation, Bihar State Health Society, Pehel of Jagaran Social Initiative. · Invited to deliver a talk as gust speker at Rotary Patna, Patna on “Diabetes – Prevention and Cure”.